2 Years after Coup, will Assassination of Egypt's Att'y General be Pretext for More Repression? 2 Years after Coup, will Assassination of Egypt’s Att’y General be Pretext for More Repression? 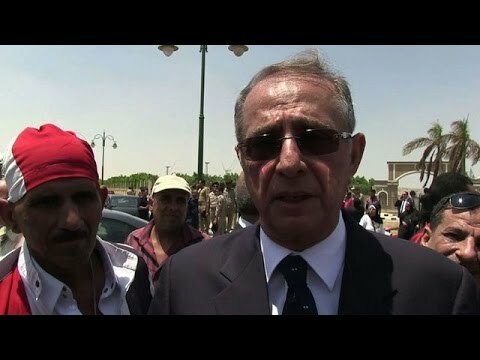 Hisham Barakat, Egypt’s most senior prosecutor, has been killed by a car bomb that hit his motorcade in Cairo. The attack came just a month after Islamic State (IS) urged its followers to attack Egypt’s judges and its “deep state” in revenge for their jailing scores of Islamists. The attack, which also wounded six of Barakat’s security detail as well as two drivers and a passer-by, has been claimed by an obscure group calling itself the Popular Resistance Front of Giza. The Muslim Brotherhood condemned the killing – nonetheless accusing Barakat of “legalising violence”. The chief prosecutor was widely hated by Egypt’s disparate opposition groups as a figurehead for the savage crackdown on dissent which has marked the two-year rule of military strongman Abdel Fattah al-Sisi. Barakat oversaw the jailing of thousands of opposition supporters – among them Egypt’s first democratically elected president, Mohammed Morsi, who has been sentenced to death along with hundreds of members of the Muslim Brotherhood. Morsi’s death sentence was not just a red flag to jihadists and Islamic fundamentalists; it was proof that al-Sisi has fully abandoned the ideas animating the 2014 constitution, which was expected to be firmly inclined towards the respect of human rights and freedom of thought. Significantly, Barakat’s assassination comes almost exactly two years after the start of the June 30 coup that ousted Morsi and brought al-Sisi to power. Al-Sisi’s rhetoric may be peppered with the language of “freedom”, but his style of rule is more indicative of a will to power – and there’s no better measure of that than his political sway over the country’s Islamic authorities. The Sharia court system is not as dominant in Egypt as in Saudi Arabia, but it is clearly entwined with the state legal system, even though the two are supposedly constitutionally separate entities. The lack of proof or witnesses in Morsi’s trial was expected to technically and doctrinally stop the Grand Mufti from confirming his sentence. Instead, he apparently validated it without raising any questions – confirming al-Sisi’s genuine power over the Sharia court system. Al-Sisi has long tried to present himself as a pious Muslim proponent of a moderate, mainstream Islam, to counter terrorism. But the Morsi verdict proved he has incorporated the juridical system into his pursuit of far more basic political goals: to get rid of the Muslim Brotherhood, and to placate Egypt’s vital foreign donor, the UAE, and strategic regional fellow, Israel. Al-Sisi increasingly depends on the Israelis for tactical support, and for now at least, Israel is looking to Egypt as its best hope for regional stability. The two countries’ leaders are singing from the same hymn sheet when it comes to dealing with radical Islamism. Even though both al-Sisi and Benjamin Netanyahu have worked hard to garner the support of some of the most conservative factions and lobbies in their respective countries, they are looking to each other as partners in the fight against Islamic terrorism. Egypt also counts on support from Gulf Countries, as following the coup it started searching for new allies. In spite of this, the strategic role Israel plays remains crucial in light of the political interests al-Sisi and Benjamin Netanyahu share when referred both to the closure of Rafah border and the fight of jihadi groups Sinai peninsula. The Egypt-Israel relationship is built around a common fight against Islamic terrorism – above all against Hamas, the historic right wing of the Muslim Brotherhood – and through energetic trade. However, in spite of ambitious summits in Sharm El-Sheikh meant to attract foreign investments, doing business in Egypt is still considered difficult, and the Egyptian economy is still shaky. The country’s public debt hit record levels in 2014, and it is expected to keep increasing. Unless Egypt readdresses its security situation, the investments it needs will never materialise. And the terrorists targeting the regime know that all too well. The attack that killed Bakarat was just the latest attempt to shatter the stability al-Sisi is desperately trying to maintain. These attempts are coming not from the Muslim Brotherhood, which has been subject to a crackdown and hundreds of whose members have been jailed; instead, they are the work of minor Islamist groups and individual fighters. That much was made clear on June 19, when the Muslim Brotherhood was expected to gather in Tahrir square for a mass protest in spite of the 2013 anti-protest law. Violent rallies were expected, but Brotherhood members instead kept a low profile, perhaps fearing jail. It seems unlikely the Brotherhood will directly stage any violent protests in the months to come; instead, it will keep campaigning through its main online presence, Ikhwanweb, while Egypt’s Islamist youths fall ever more into the orbit of more radical groups. Instead, the random attacks to come will be the work of isolated “jihadi” cells, some officially affiliated to IS (such as Wilaya Sinai,formerly Ansar Bayt al-Maqdis), or individuals from Egypt or nearby countries such as Tunisia and Libya. These groups are not especially co-ordinated, but their aim is the same: to exploit Egypt’s social and political disorder and target the economic apparatus on which al-Sisi’s regime depends. They are trying to unpick Egypt’s social fabric by violently challenging its political elites. If al-Sisi continues to rely solely on authoritarianism to keep Egypt together, he will fail. The resulting backlash will worsen Egypt’s security crisis, both preventing its growth and and antagonising its Islamist discontents. And the murder of the country’s top prosecutor shows this process is already underway. MariaGloria Polimeno is Doctoral Researcher at City University London.